The little ones in our lives are the source of constant joy to all and we know how the precious ones don't joke with their food. Our Infant and Baby foods section contains numerous African foods for kids and we are confident that you would not be disappointed by the depth of our collection. We have the biggest brands in baby foods and their products and if you are looking to buy baby foods from Africa or those preferred by the Caribbean and Latino community, then you are the right place. 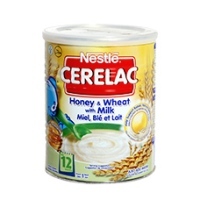 Cerelac Honey/Wheat/Milk. 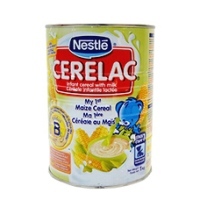 This product is one of the many African foods and other items you can buy..
Cerelac Maize. 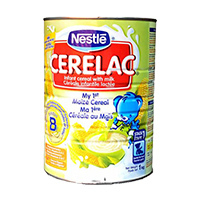 This product is one of the many African foods and other items you can buy here onlin..
Cerelac Maize Big. 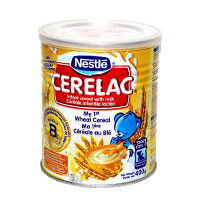 This product is one of the many African foods and other items you can buy here o..
Cerelac Wheat. Wherever you are in the USA, we will ship this African food item to you on time with..
Cerelac Wheat w/Milk Big. Wherever you are in the USA, we will ship this African food item to you o..